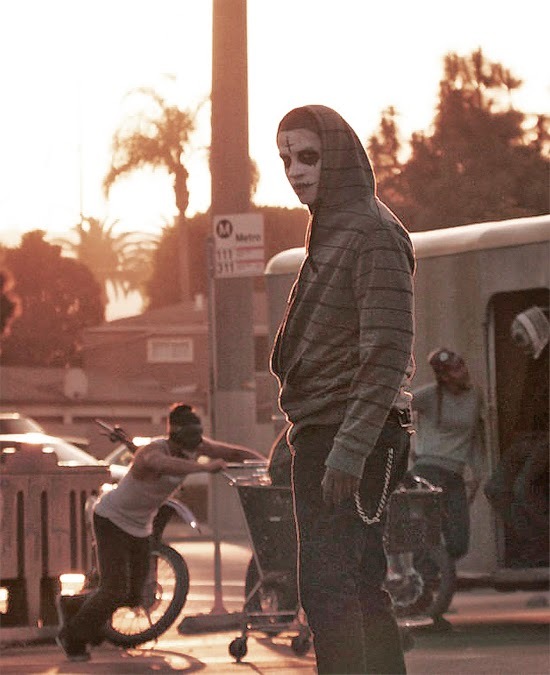 Universal Release New Trailer for James DeMonaco's 'THE PURGE: ANARCHY'! Universal Pictures & Blumhouse Productions have released a new theatrical trailer for The Purge sequel in the shape of The Purge: Anarchy. The movie is once again headed by writer-director James DeMonaco. Frank Grillo, Michael K. Williams, Carmen Ejogo, Zach Gilford, Kiele Sanchez & Keith Stanfield all star. The original movie had a budget of $3 million & went on to earn $34 million setting at that time a new record for an original R-rated horror. Hit the jump for the details. Synopsis: "The New Founding Fathers of America invite you to celebrate the annual Purge. The sequel to 2013’s runaway sleeper hit will be released on Friday, June 20, 2014. Returning alongside writer/director/producer James DeMonaco to produce the next chapter of the thriller are Blumhouse Productions’ Jason Blum (Paranormal Activity and Insidious series), alongside Sébastien K. Lemercier (Assault on Precinct 13, Four Lovers) and Platinum Dunes partners Michael Bay (Pain & Gain, Transformers franchise), Brad Fuller (The Amityville Horror, A Nightmare on Elm Street) and Andrew Form (The Texas Chainsaw Massacre, Friday the 13th)." I'm reading: Universal Release New Trailer for James DeMonaco's 'THE PURGE: ANARCHY'!Tweet this!